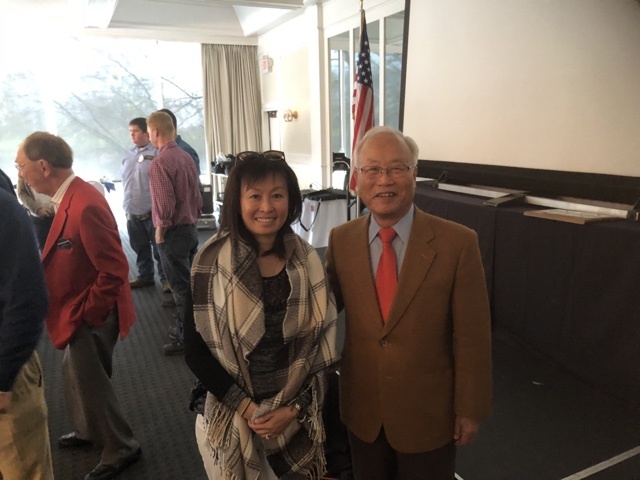 It was great to listen to Shige Yoshida, retired Executive VP and Chief Operating Officer of Honda as he enlightened members and guests of the Columbus Rotary Club last week on his experiences. Rotarians learned about developments and the eventual selection of the Honda Marysville plant making Ohio home for its first U.S. manufacturing plant. Some of you may be more aware than others of the Honda story and the lessons it provides on bringing flexible manufacturing, industry leading technology, and local Ohio workers to create vehicles such as the 2018 Honda Accord recently named Car of the Year. However, Mr. Yoshida’s first ever public speech on Honda’s growth through the 1970’s, full auto production in 1982 and on to his retirement in 1987 added to that storyline. Besides Honda, Ohio has proven a great home for many manufacturers such as Worthington Industries. Yoshida mentioned that John McConnell was one his biggest mentors through his career which has led him to be described as “the most influential automaker executive of the past 50 years”. The small Japanese company came to the U.S. as a non-union shop without substantial financial incentives. Now today, we are taking pages out of their book on how to build cross cultural relationships within U.S. manufacturing. Tom Shoupe, current Executive VP and Chief Operating Officer of Honda of America Manufacturing picked up Yoshida’s trip down memory lane by describing the past twenty years of Honda’s success in Ohio as well as provide a preview of future directions. The self-reliant North American company now manufactures motor vehicles in the same market where they are sold with over 10,000 American workers in their Ohio manufacturing plants alone. We are eager to see how the Honda story plays out and are excited to be a part of bringing overseas manufacturing practices to the U.S.
Join us as we stay up date on the Smart Columbus and Hyperloop One projects which will have a tremendous positive impact on the city.